Every week, I make one dish from Latviešu ēdieni. When I went to Latvia for the first time, I happened to be there in time for my father-in-law’s vārdadiena, or name-day. (All of the most common Latvian names are assigned to a certain day on the calendar, along with a day for anyone whose name isn’t on there.) The family decided to have a party at “Zvanītāji”, one of the many small ethnographic houses scattered across the country. This one in particular is near Rucava on the southern Kurzeme coast and is a 19th century wooden house where traditional implements, costumes and food can be experienced, as can traditional music and dancing, thanks to the Rucava Club of Traditions. I have to say it was a lot of fun, though it was extremely odd to be surrounded by Latvians laughing and singing along to dirty ditties (which I didn’t understand until my husband translated for me). If my Latvian had been stronger, it probably wouldn’t have been quite as odd as it felt! Read more about Zvanītāji here. For the party, we were served a full meal (a “Rucava banquet”) consisting of many traditional Latvian dishes, including dumplings, potatoes with white butter, and my favorite dish of the night: maize zupa or bread soup. Soak bread in water until soft, then force through a fine sieve. Grate toasted bread coarsely (we used our food processor), then bring water to a boil in a small sauce pot. Soak bread in water until nicely soft. Stir in sugar, cinnamon, cloves and fruit. Add water as necessary to make it soup-y. Cook over low heat until soup is the consistency desired and the fruit flavors have permeated throughout. Remove from heat and stir in cranberry concentrate (if using). Chill thoroughly. Serve with a dollop of whipped cream on top. Why cranberry concentrate? Because outside of Thanksgiving, frozen plain cranberries aren’t available in my local stores. I did, however, have a not-so-sweet jar of cranberry concentrate that served well. I’m not even going to tell you what the recipe originally called for when it came to the whipped cream. Ever tried to whip less than a tablespoon? Just whip up a small batch or use a bit of Cool Whip that’s hanging about in the freezer. Atvainojiet! Tulkojums vēl nav pieejams. My method: Grate toasted bread coarsely (we used our food processor), then bring water to a boil in a small sauce pot. Soak bread in water until nicely soft. 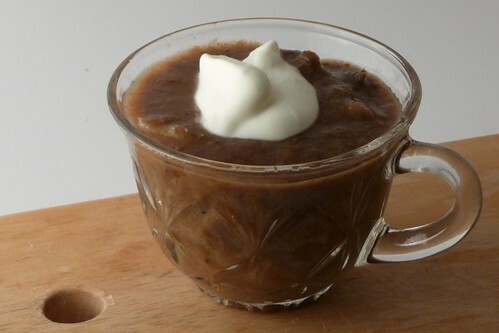 This entry was posted in bread, Dessert, gluten-free, in progress, latvian, recipes. Bookmark the permalink. Actually, the name of the dessert is Maizes zupa, not Maize zupa. Whoops. Sorry about the typo and thanks for bringing it to my attention. Thank you for this recipe. I am Latvian, living in Canada, so it is great to find some native recipes here, and compare with mine. 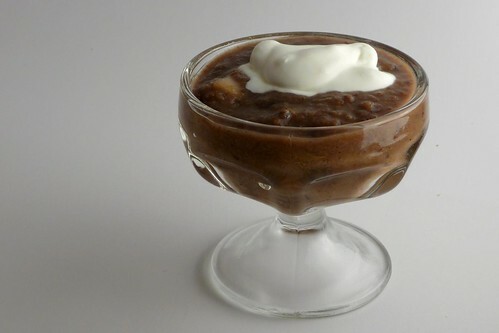 ..my cousin with family are coming to visit me in 2 weeks , as you can guess Latvian dark bread is already on the wish list : ) can’t wait to make maizes zupa ..I love that dessert , it’s perfect and not too sweet ..
Wow! I wonder that somebody who don’t talk in Latvian love Maizes zupu. My husband is English, he even can’t look at it. For me beter -i getting more. Antra, I can’t believe your husband would turn down something as yummy as maizes zupa! Oh, I am so happy I found this recipe. I had this dessert in Riga and liked it very much. I will have to modify it a little bit, as dark rye bread does not taste the same as in Litvia. But in a few weeks I will make it for some guests here. I will also publish the recipe on my blog and let you know, okay?